What time is it? 4:30. It’s not late. No. No. It’s early. 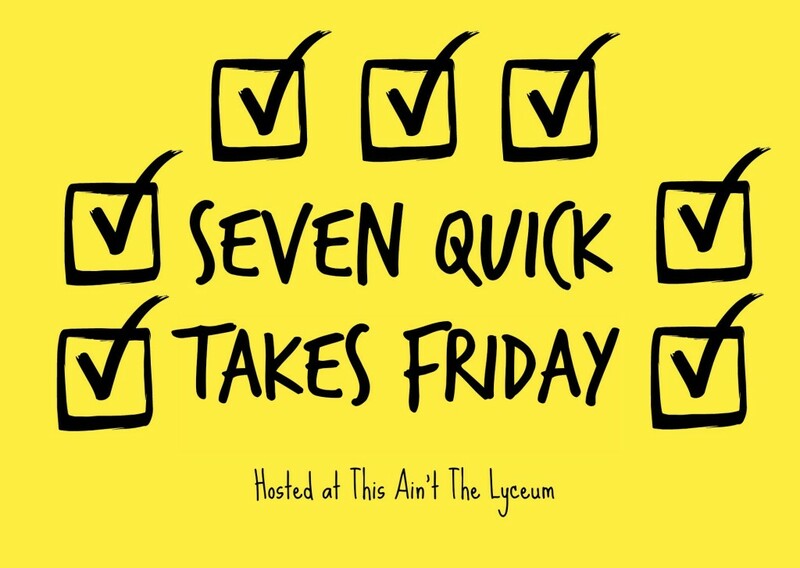 And since it’s Friday, it’s also time for Seven Quick Takes with Kelly over at This Ain’t the Lyceum. Last Saturday I woke up in VA on a road trip with my real-life Staz. We were visiting her sister and the sister’s husband, so I did what any red-blooded Catholic author did, knowing said trip was coming up. 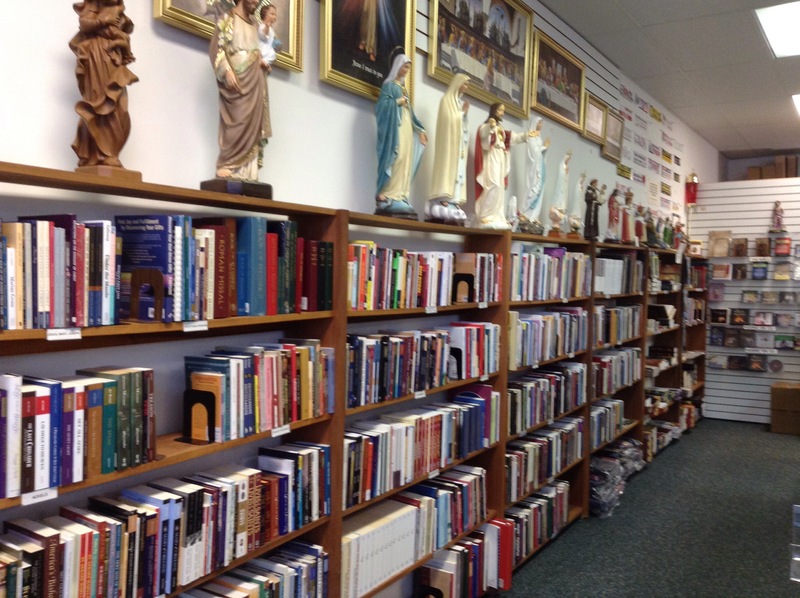 I found the Catholic bookstore nearest their house. 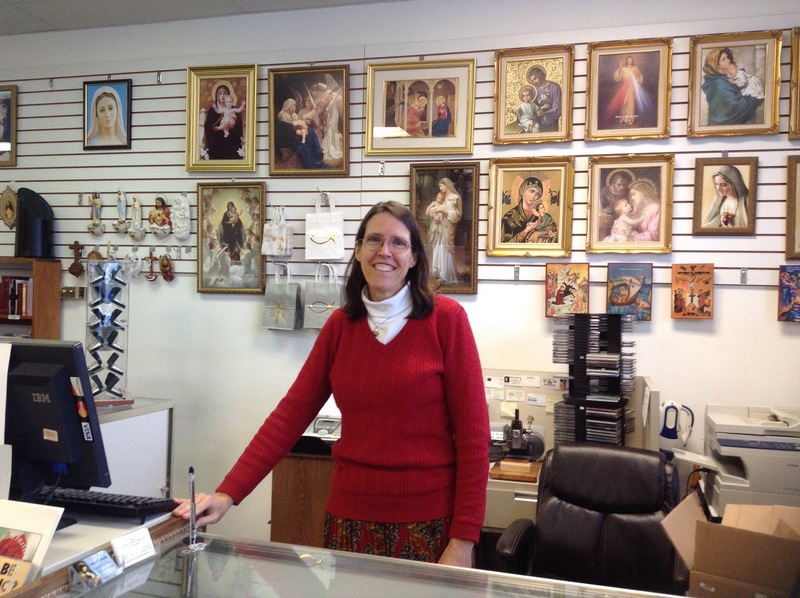 That store is JMJ Catholic Books & Articles in Virginia Beach, VA.
As soon as we knew the trip was happening, I called this fine lady, Jeanne Dart, partner with her husband in the ownership and running of JMJ. It took a little persuading, but I talked her into letting me come over the weekend of my trip and do a talk there on Saturday. I made the above poster on Canva (the hang of which I am now, I think, getting). 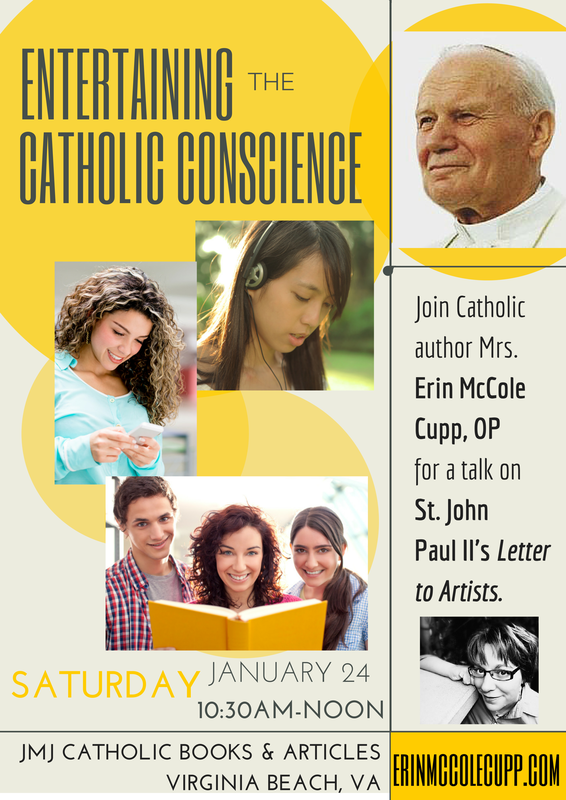 I shared that poster on FB, tweeted it at people in the general more-south-than-PA area, mailed a few copies of the poster to the bookstore, and prayed, prayed, PRAYED to St. Francis DeSales, whose feast day fell on the day of my talk. 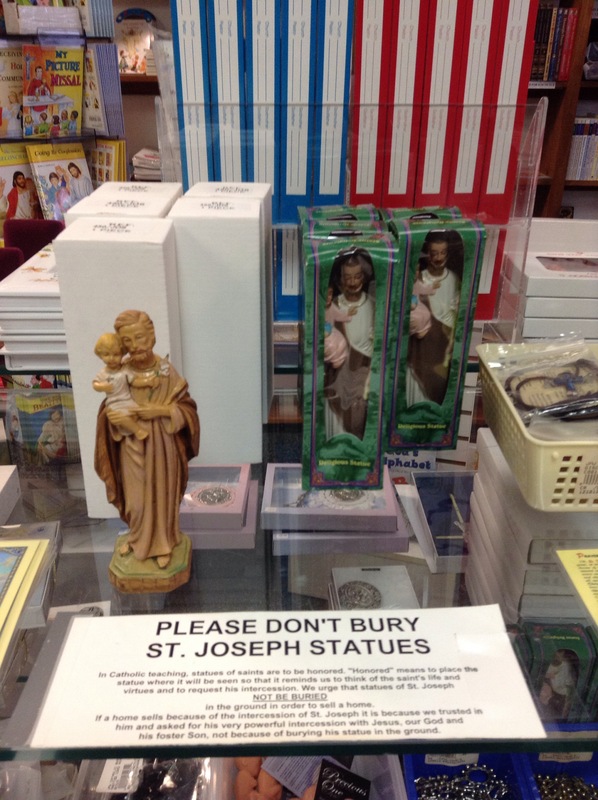 And here they are in their display.Jeanne spoke about using the, well, superstition behind these statues to talk to non-Catholics who come in asking for those St. Joseph statues that help sell houses (“My Catholic friend said I should do this.” “Well, how do you feel about it?” “Kind of funny.” “You probably should, and here’s why…”). Anyway, while we were chatting, a few customers came in. Jeanne introduced us, and they bought my books. Jeanne got one for free for hosting me, and then bought the rest to give as gifts and keep on her store shelves. Thus, I went home bookless! And I didn’t even have to stand up and give a talk, so win-win-win. 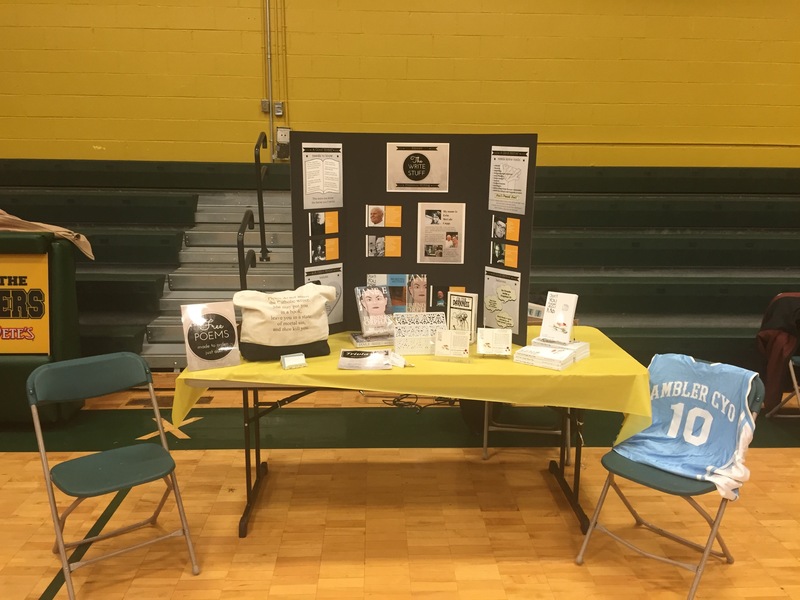 The only problem was that this left me with no books to display yesterday at the career day at my old high school. I quick placed an order for more copies, but the earliest delivery date with crazy-expawnseeve shipping was February 2. Eep. So I just surrendered it to God’s delivery plans, paid the cheapo shipping, and planned on digging up some old proofs from around the house to display. But, soft! What light through yonder display table breaks at the bottom right hand side of my display table? 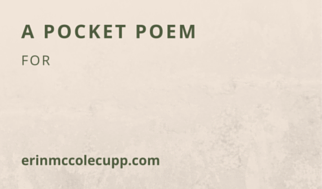 I had these made up as business cards and put out a sign offering “FREE POEMS made to order: just ask!” I haven’t done the count yet, but I believe I wrote almost 100 poems on the spot. I can’t vouch for their quality, but I can attest to their uniqueness. Anyway, make up your own card, obviously, but if you’re an introverted writer looking for a way to draw people in to your book signing, try the free poem thing. This drew everyone from they shyest freshman girl hiding behind the giant binder in her arms to the burliest football playing guy. In closing, I’ll leave you with a few pictures from my alma mater. In case you hadn’t figured it out yet, the Cate Whelihan books will (hopefully) be a trilogy in which Cate goes back to each place of her youth and resolves the unresolved. Don’t You Forget About Me is about tying up loose ends from grade school. Now I’m working on the sequel, which focuses on high school. 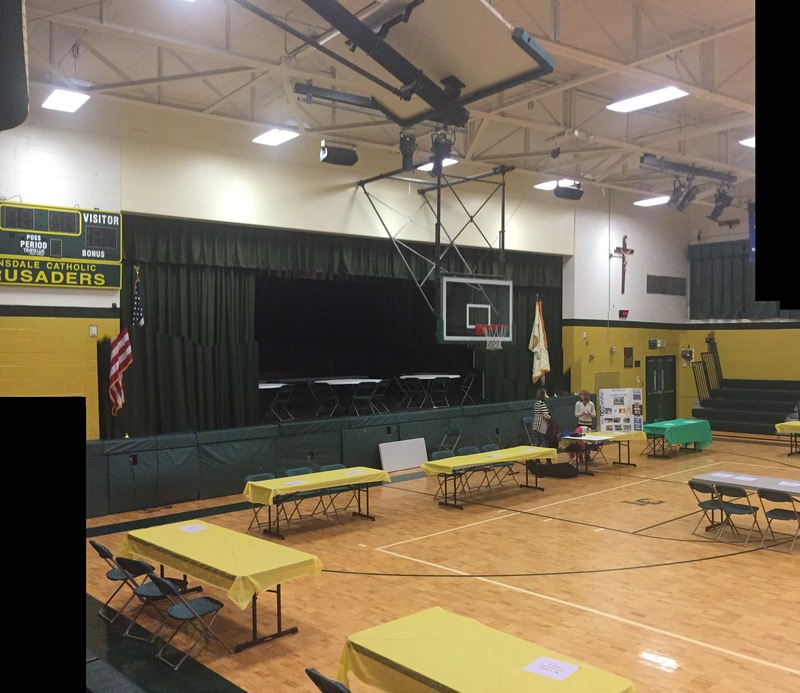 This added yet another level of surreality to yesterday’s career day experience. That’s the stage where I played Miss Hannigan in Annie my junior year. 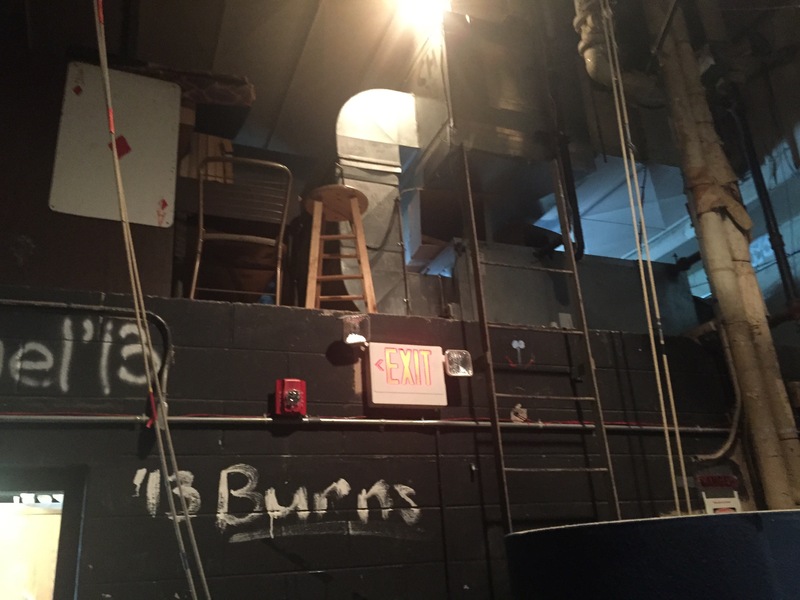 That’s the light loft where I ran lights for Grease my sophomore year. 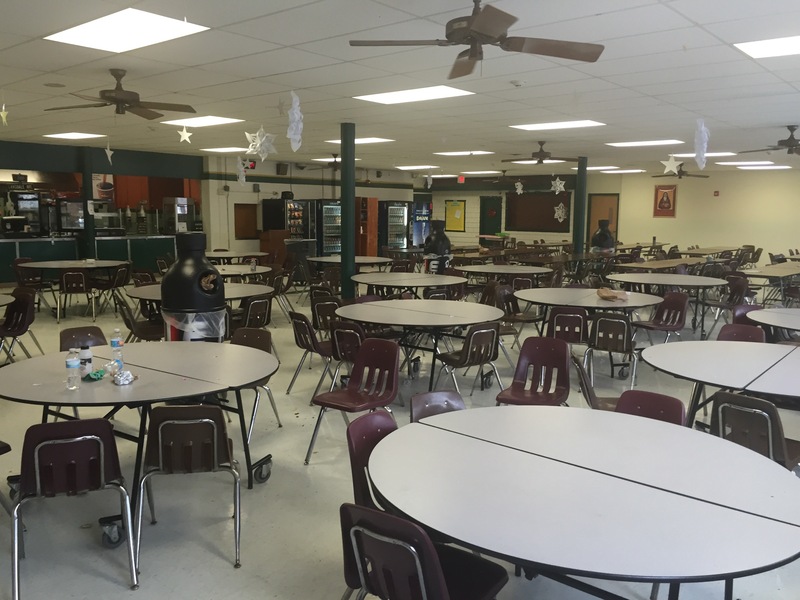 Aaaahh… the cafeteria. It still smells the same. 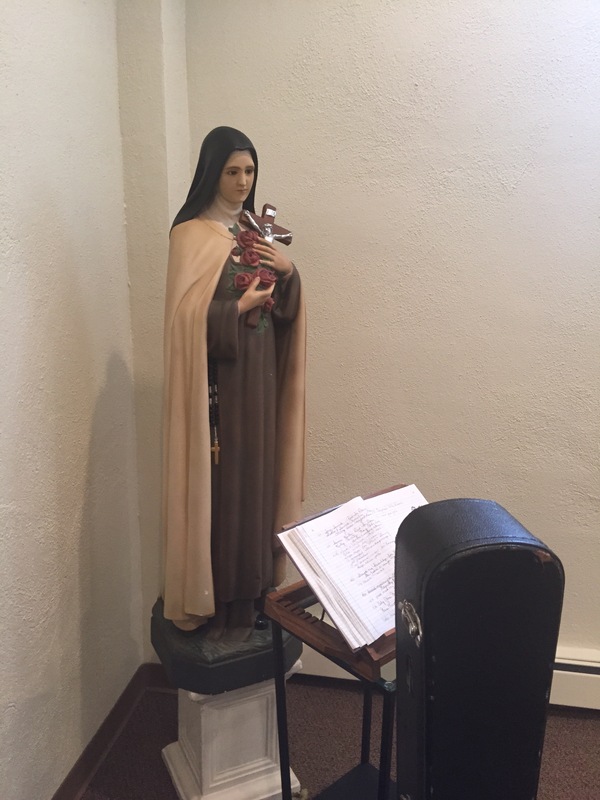 St. Therese of Lisieux, the Little Flower–patron saint of my high school. 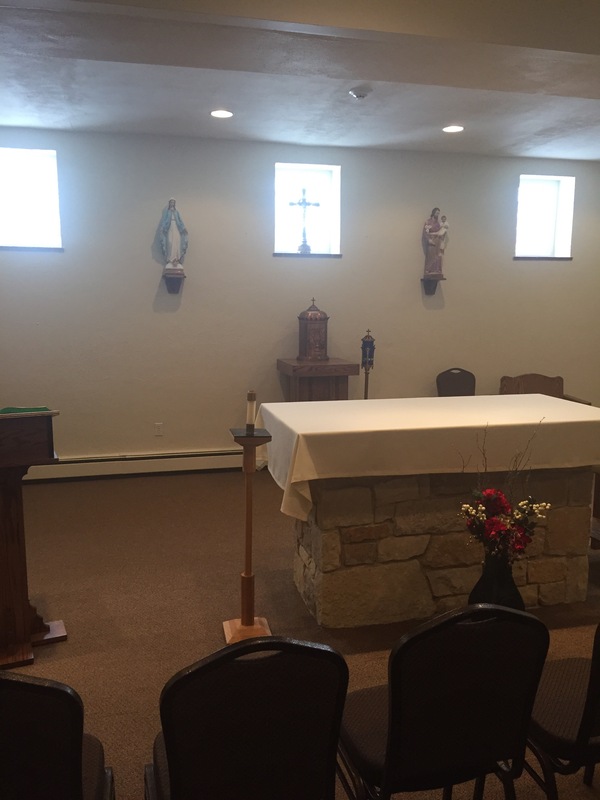 I spent a few minutes in the chapel, praying for some special intentions, but also apologizing to the Guy in the tabernacle. High school was my era of atheism at worst, agnosticism at best. I didn’t even know until college that God waited for me in the room right next to the caf, and I was just ignoring Him, blaspheming against Him, and otherwise being a self-centered idiot. 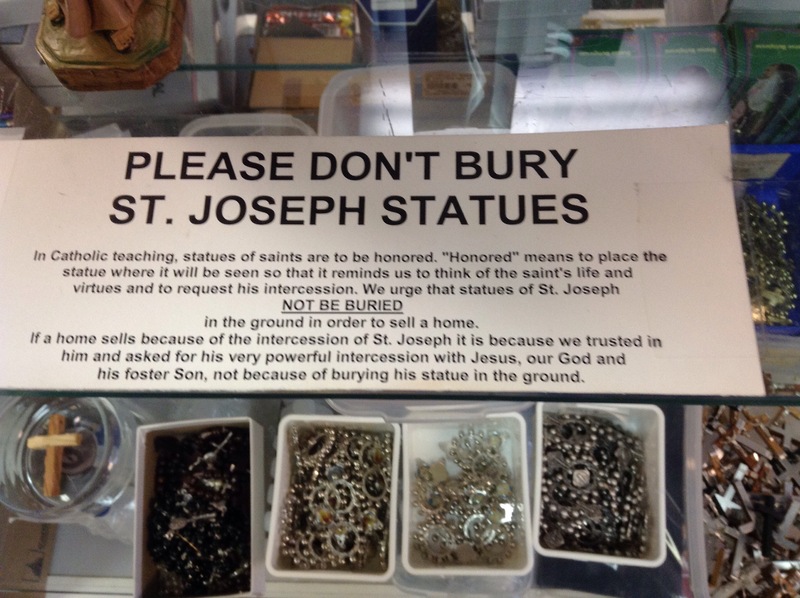 Mea maxima culpa.